She announced that Rwanda has set a zero tax levy to all companies with regional headquarters in the country as an extra incentive. Meanwhile, Smiths Detection, a global leader in threat detection and screening technologies for military, transportation, homeland security and resilience applications, affirmed a broader engagement with African Airports to ensure efficiency. “We are looking forward to supporting African Airports in catering for ever growing passenger numbers and air cargo volumes by providing integrated security solutions,” Gilles Gauderlot Sales Manager of Smiths Detection said. Smiths Detection is a Gold sponsor for the Summit. 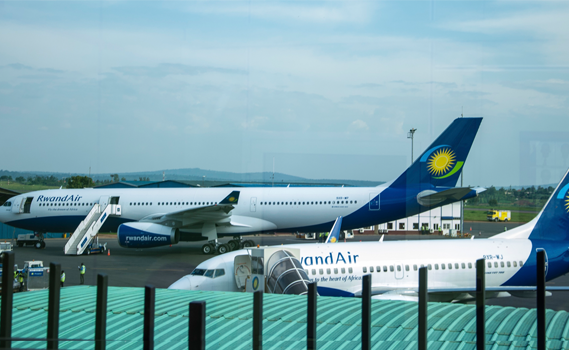 The Summit that was convened at Radisson Blu Hotel and the Kigali Convention Centre, is a forerunner to the Aviation Africa Conference and Exhibition that is scheduled February 22-23, has named Rwanda’s Aviation the third fastest growing in Africa. About 53 global companies, 550 delegates from 55 countries will attend this event. The achievement aligns with Rwanda’s dream to become one of the global top international MICE destination before 2050. 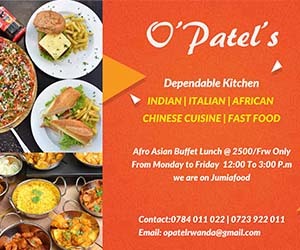 Rwanda launched MICE in May 2014. Notably, Rwanda Aviation officials have said that Bugesera International Airport upon completion will be an “airline friendly airport” with competitive prices in terms of fueling space, infrastructure among others. US$ 818 has been earmarked for the construction of the Bugesera airport alongside US$19 million for upgrading and expanding the Kigali International Airport. Meanwhile, organisers of the summit said the Gulfstream G280 will be on display at Kigali International Airport. The two-day conference is expected to address key challenges and opportunities for the growth of the African aviation industry. Civil aviation and liberalisation, China-Africa regional aviation co-operation, the Cape Town convention, training and human resources and the challenges and opportunities for Africa’s airports among other issues will be high on the agenda. The conference will discuss key sectors of Business Aviation, Defense, Regional and Commercial aviation and will include 70 speakers and panelists. “Aviation Africa 2017 in Rwanda will be the largest aviation event to take place in East Africa and we will deliver an unparalleled networking opportunity for African aviation, said Alan Peaford, Conference Chairman, Aviation Africa.